Mr. Jerry Scott, 60, of Lumberton, NC departed this earthly life on Monday September 3, 2018 at New Hanover Regional Medical Center in Wilmington. He was preceded in death by his parents, James and Hazel Scott; a brother, Donald Earl Scott; his paternal grandparents, Marvin and Luvaner Scott and his maternal grandparents, Harmond and Jessie Bell Strickland. 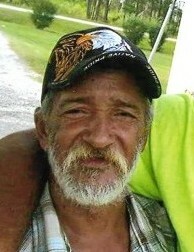 Jerry is survived by two sons, Jamie Lee Oxendine and his fiancé Amber Britt of Orrum, NC, Joshua Oxendine of South Carolina; seven grandchildren, Hailey, Jailyn, Ariyana, Ariel, Blaize, Zavian and Aviyana; three brothers, Larry, Jimmy and Thurman Scott all of the home; two sisters, Kathy Scott, Peggy and Charles Maynor of Lumberton; a sister-in-law, Betty Scott of Pembroke; several special nieces and nephews and a host of relatives and friends.